20 amazing Celtic tales to bind your imagination! 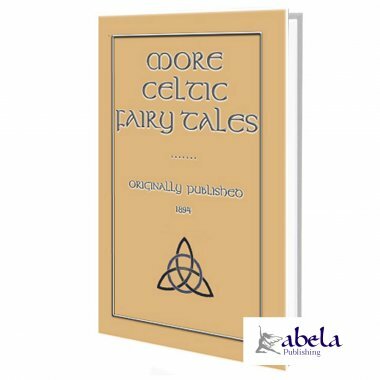 In this volume you will find 20 Celtic tales like Jack the Cunning Thief, Paddy oKelly and the Weasel, the Dream of Owen O'Mulready, The Farmer of Liddesdale, The Greek Princess and the Young Gardener, Elidore, the Ridere of Riddles and many more. Taking four years to complete, Joseph Jacobs attempted to do what the brothers Grimm did for Germany, so far as that was possible. In Jacobs own words The Celtic materials are so rich that it would tax the resources of a whole clan of Grimms to exhaust the field. 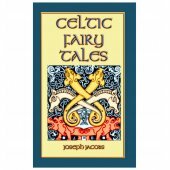 In this volume Joseph Jacobs has proceeded on much the same lines as those which he laid down in compiling Celtic Fairy Tales. In making his selection he attempted to select the tales common both to Erin and Alba. He included, as specimen of the Irish medieval hero tales, one of the three sorrowful tales of Erin: "The Tale of the Children of Lir." 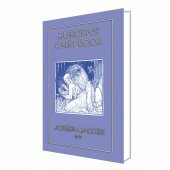 For the "drolls", or comic relief", of the volume, he drew upon the inexhaustible Kennedy and the great J. F. Campbell, who still stands out as the most prominent figure in the history of the Celtic Fairy Tale. In Jacobs own words, The Celts went forth to battle, but they always fell. Yet the captive Celt has enslaved his captor in the realm of imagination. In an attempt to give a library of the Celts wealthy imagination to his readers, Jacobs has attempted to begin the readers captivity with the earliest recordings of these tales. And captivate he doesMore Celtic Fairy Tales not only preserves a cultural history, but is also richly entertaining. 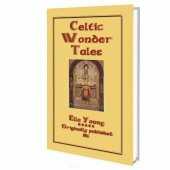 We invite you to curl up with this unique sliver of Celtic folklore not seen in print for over a century; immerse yourself in the tales and fables not told in homes for many a year. 33% of the net sale will be donated to the Prince's Trust. ONCE UPON A TIME In the Days of Henry Beauclerc of England there was a little lad named Elidore, who was being brought up to be a cleric. Day after day he would trudge from his mother's house, and she was a widow, up to the monks' Scriptorium. There he would learn his A B C, to read it and to write it. But he was a lazy little rogue was this Elidore, and as fast as he learned to write one letter, he forgot another; so it was very little progress he was making. Now when the good monks saw this they remembered the saying of the Book " Spare the rod and spoil the child," and whenever Elidore forgot a letter they tried to make him remember it with the rod. At first they used it seldom and lightly, but Elidore was not a boy to be driven, and the more they thwacked him the less he learned : so the thwackings became more frequent and more severe, till Elidore could not stand any longer. So one day when he was twelve years old he upped with them and offed with him into the great forest near St.David's. There for two long days and nights he wandered about eating nothing but hips and haws. At last he found himself at the mouth of a cave, at the side of a river, and there he sank down, all tired and exhausted. Suddenly two little pigmies appeared to him and said "Come with us, and we will lead you into a land full of games and sports: " so Elidore raised himself and went with these two; at first through an underground passage all in the dark, but soon they came out into a most beautiful country, with rivers and meadows, woods and plains, as pleasant as can be; only this there curious about it, that the sun never shone and clouds were always over the sky, so that neither sun was seen by day, nor moon and stars at night. The two little men led Elidore before their king, who asked why and whence he came. Elidore told him, and the king said : "Thou shalt attend on my son," and waved him away. So for a long time Elidore waited on the king's son, and joined in all the games and sports of the little men. They were little, but they were not dwarfs, for all their limbs were of suitable size one with another. Their hair was fair, and hung upon their shoulders like that of women. They had little horses, about the size of greyhounds; and did not eat flesh, fowl, or fish, but lived on milk flavoured with saffron. And as they had such curious ways, so they had strange thoughts. No oath took they, but never a lie they spoke. They would jeer and scoff at men for their struggles, lying, and treachery. Yet though they were so good they worshipped none, unless you might say they were worshippers of Truth. After a time Elidore began to long to see boys and men of his own size, and he begged permission to go and visit his mother. So the King gave him permission so the little men led him along the passage, and guided him through the forest, till he came near his mother's cottage, and when he entered, was not she rejoiced to see her dear son again? " Where have you been? What have you done?" she cried; and he had to tell her all that had happened to him. She begged of him to stay with her, but he had promised the King to go back. And soon he returned, after making his mother promise not to tell where he was, or with whom. Henceforth Elidore lived, partly with the little men, and partly with his mother. Now one day, when he was with his mother, be told her of the yellow balls they used in their play, and which she felt sure must be of gold. So she begged of him that the next time he came back to her he would bring with him one of these balls. When the time came for him to go back to his mother again, he did not wait for the little men to guide him back, as he now knew the road. But seizing one of the yellow balls with which he used to play, he rushed home through the passage. Now as he got near his mother's house he seemed to hear tiny footsteps behind him, and he rushed up to the door as quickly as he could. Just as he reached it his foot sJipped, and he fell down, and the ball rolled out of his hand, just to the feet of his mother. At that moment two little men rushed forward, seized the ball and ran away, making faces, and spitting at the boy as they passed him. Elidore remained with his mother for a time; but he missed the play and games of the little men, and determined to go back to them. But when he came to where the cave had been, near the river where the under-ground passage commenced, he could not find it again, and though he searched again and again in the years to come, he could not get back to that fair country. So after a time he went back to the monastery, and became in due course a monk. And men used to come and seek him out, and ask him what had happened to him when he was in the Land of the Little Men. Nor could he ever speak of that happy time without shedding tears. David, Bishop of St. David's, came to visit his monastery and ask him about the manners and customs of the little men, and above all, he was curious to know what language they spoke; and Elidore told him some of their words. When they asked for water, they would say : Udor udorum; and when they wanted salt, they would say : Hapru udorum. And from this, the Bishop, who was a learned man, discovered that they spoke some sort of Greek. For Udor is Greek for Water, and Hap for Salt. Hence we know that the Britons came from Troy, being descendants from Brito, son of Priam, King of Troy.